A creative team providing an innovative, strategic design partnership, we empathise with you, we understand your business goals, and we know how to get to the very heart and soul of your business needs. 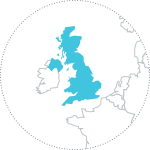 We thrive on building a close working relationship with our clients, and truly getting under the skin of their businesses to understand first-hand their objectives and ambitions, whether you are a global organisation or a start-up. We bring big agency experience with an agile boutique studio execution. FleishmanHillard Fishburn’s brand consultancy team focuses on brand creation, brand design and brand communications. We define and shape brands strategically, create visual identities and design brand communication collateral, including brand guidelines, literature, websites and branded environments. We do this by blending strategic insight with compelling creativity, helping organisations cut through the clutter and create design that reaches, engages and inspires internal and external stakeholders. We offer best-in-class consultancy advice, award-winning creativity and seamless execution across all channels. Using real audience behavior to create content campaigns that connects with what people really care about – we turn this insight into engaging content campaigns that elevate a brand’s message and drive engagement that is meaningful and creates stand out in the marketplace. We have a full suite of digital, social and content creation capabilities across our network and our experts at creating integrated 360° digital and PR strategies. Find out more about our capabilities in Digital & Social here. We are passionate about delivering the most successful video content possible. Our ultimate goal is to connect with our audience on an emotional level, through content that is engaging, relatable and puts real people and stories at its core. We believe in the power of film. The evolution of video remains key to shifting and shaping the world of communications. Engaging our audience through video has never been more critical with moving image set to become increasingly interactive and emotive. From social live streaming to 360 videos and virtual reality, brands are constantly pushing to become more daring, creative and bold with their film content, and we have the capabilities to adapt and flex across the full spectrum. Our specialist creatives understand how to bring your narrative to life, leveraging your brand equity to carry your stakeholders with you on your reporting journey. Using different design techniques, we ensure your content engages effectively with all your stakeholders, from the time poor to the more in-depth readers. We offer heavyweight project managers, typesetters, proofreaders, print and digital production experts, believing that the best relationships are built on precision, flexibility and collaboration. Our robust, and proven approach enables our clients to feel secure in the knowledge that we deliver effective, high quality work efficiently. Find out more about our Reporting capabilities here.